Women have this longstanding reputation of being "intuitive." We're just naturally bent toward the whole parent thing, it's our gender. Well, not always. But, there is a lot of instinct at work in this whole parenting thing, and less and less of it is my own. If she doesn't get what she wants from Mommy, she will immediately turn to Daddy, pitting one against the other. This is lawyer-grade manipulation. WHERE do they learn this? It ain't Elmo, he can't even get his pronouns right. That meltdown move usually performed in the middle of a crowded store, the one where they drop to the floor and become completely limp. It's impossible to pick them up as they lay there screaming at the top of their lungs. The absolute ear-ripping tone of whining that can break you. Like those whistles only dogs can hear. Or waterboarding. An uncanny sense of when and how to screw your whole morning schedule just you are the most late for work, and have a meeting. The ability to give you just enough positive reinforcement to make you think you get this whole parenting thing just before they totally shatter your illusion. How to look perfectly angelic while sleeping no matter what they just put you through seconds before they drifted off. Finally, that incredible ability to see you at your most frustrated and exhausted, and then do or say that one tiny thing that can melt your heart in a second. Ah, kids. I had tunnel vision just getting all the recipes done for Thanksgiving. Since I am still full and still eating turkey, I thought I would take a break and see what else is happening in the world of food and agriculture. "In response to the E. coli 0157 outbreaks last year in bagged spinach, the USDA is considering a change in the federal regulations that could potentially require growers of all fresh leafy green vegetables to follow specified guidelines in the fields and during post-harvest handling. The federal rules would be similar to the California guidelines that were set by large-scale operations after the outbreaks. The guidelines include growing practices that discourage biodiversity and sustainable/organic farming practices, deplete soil fertility, and create “sterile” fields—methods that have not been scientifically proven to actually reduce E. coli 0157 bacteria but are certain to reduce biodiversity, harm wildlife, and burden family-scale farms." The Washington Post takes a pretty depressing look at the harsh impacts global warming will have for agriculture. USDA forces Tyson to revise those bright, shiny new "raised without antibiotic" labels on their chicken. Turns out, Tyson still fed the poultry a diet laced with drugs called ionophores which qualify as an antibiotic. Tyson is defending its new labels and the tens of millions of dollars in marketing by saying that this is a "antimicrobial" not an antibiotic. The official Webster's definition of "antimicrobial" is "capable of destroying or inhibiting the growth of disease-causing microorganisms." Sure sounds like antibiotic to me. According to a study by Obesity.org, if you are gaining weight from eating out, it's the chef's fault. I support posting the nutrition information for foods in restaurants. I'd like big posters that show what a portion size really is to be plastered on walls everywhere. I agree that an average restaurant single portion is more than a family of four in a developing country eats in a day. But, unless the chef is walking out to the table and force feeding you everything on the plate like a soon-to-be-foie-gras duck, you are on your own here. Portion sizes ARE obscene. If restaurants could get away with it, they would be smaller. More food equals more food costs. Fast food places aren't dreaming up three-beef-patty-eight-bacon nightmares without a darn good hunch someone will buy it. The simple truth is, we Americans are lousy (myself included) at self-control when it comes to food. Our demand has driven the perception of portions way off the charts. Maybe we should all take note of the line spoken by the rail-thin food critic in Ratatouille, "I don't like good food, I love it. If it is not good, I don't swallow it." The World Cancer Research Fund and the American Institute for Cancer Research, released a definitive report on likely causes of cancer and how the lower the risks. The report, a result of five years of research by nine teams of scientists, included information on a link between consuming processed and cured meats and cancer and the need to consume red meats in moderation. Upon its publication, American Meat Institute Foundation Vice President of Scientific Affairs Randy Huffman said, "WCRF's conclusions are extreme, unfounded and out of step with dietary guidelines." Oh, that meat industry. Always looking out for us consumers. Some insight into what it is like to be a Japanese housewife. Not pretty. I took a weekend off to go visit my brother, taking the kiddo with me to see her cousins. With the two of them spoiling her with attention, and just my very laid back brother and myself as the adults, it was a peaceful weekend. For me, anyway. For my brother, the weekend was about as much of a break as he gets, only two calls on the pager and thankfully, none in the middle of the night. My brother is a large animal vet in a rural area. He pretty much works seven days a week. The pager goes off, and he's out in the dark, cold night pulling a calf, or going to calm and help an injured horse. It's a hard job, not just the hours. While we were sitting in the family room, Dr. Bill told his son to be careful where he put his feet, not to kick the spot on his leg that was still sore from a harder kick by a cow. Dr. Bill also has a shiny row of gold-capped teeth in the back of his mouth from another such kick. He's missing part of a finger where it got caught in between a horse and a chute. It's a hard job caring for livestock. A hard job that he loves. He has a deep respect for the animals, and for the farmers as well, many who are right there beside him as he works. I think about him quite a bit these days. While I go to source local meats, I consider the hard work it takes to care for the animals. I think about how the animals are raised, what kind of life they have. I think about how my choices affect these animals and the small farmers who raise them with care. It seems pretty inconvenient to track down food sources and do the extra leg work. After all, the grocery store is just up the road. It takes some extra calls, and driving a bit out of the way to pick up a steak or two or half a beef. But, I realize now, that consumer choice is nothing compared to the work of raising and caring for these animals. Among the list of benefits, I can now add the issue of public health. With all the headlines in the news about antibiotic-resistant strains of bacteria, it's pretty notable that this one and the same bacteria strain (MRSA) has been found in concentrations on Canadian pig farms. The study, published in Veterinary Microbiology, sampled 285 pigs in 20 Ontario farms. MRSA was found at nearly half of the farms and found in about one of every four pigs. One in five of the pig farmers were also infected. Canada will export about nine million pork to the U.S. this year alone. This study is the first one to conclusively suggest that a major source of MRSA in North America is from large-scale agriculture practices and overuse of antibiotics. Thanksgiving dinner turned out well. I managed multiple ovens, burners and the mandoline with only one tiny third-degree burn, a tiny second degree one, and a single cut! Hey, that's a record. The food turned out great, especially the pastured turkey. Stuffing tasted great, but was the drier, fluffy kind, not the gooey kind most people are used to. (Sorry, Jen! Did it go okay?) But the best thing of all? When we all sat at the table and held hands and said grace, then finished. My child looked up and said, "I like that! I want to do that again!" So, we all held hands again and I helped her through another short word of thanks. I don't care what's being served, that was the best treat of all. The lesser surprise of the meal was that the favorite side was the cauliflower and chard gratin. It was easy and really good. As promised, here is the recipe for that, as well as the cranberry-applesauce that would go just as well on a Christmas table. Been cooking all day. All day. Not a bad way to spend a day, but it makes you appreciate handy items like, oh, a food processor. Here's a shot of the herbs we'll use for the turkey tomorrow. Snow! Just two days ago it was seventy degrees and I was out for a noon run in shorts. Crazy. We even have fresh local salad greens and cauliflower for the Thanksgiving table. Got to go saute some greens and do the last sinkload of dishes. Then sleep. Brining starts at 6:30 am. I'm thinking I will nap tomorrow. Maybe. Kiddo is already wanting the sweet potato pie. Yeah, I'll be ready to eat, too. Greens, Cauliflower, Turkey, Eggs, Milk, Cream, Butter, Pork Sausage, Sage, Corn, Cornmeal, Bread, Honey, Sweet Potatoes, Pumpkin, Green Beans. I wish the apples were local, and the cider, but the freeze just ruined all the fruit crops this year. Still, much of the meal will be sourced locally, and I feel pretty good about that. I'm thinking we have it waaaay easier than the pilgrims did this time of year. Then, the recipes for leftovers begin! What's kicking around in my head right now is a sort of turkey pot pie that is hand held like a calzone. Great for lunch boxes, and easy to freeze. Also, an upscale turkey and noodles. Make a grocery list from all of the recipes, checking off what you have on hand and then itemizing the list by area of the store. The store is crowded, make it easy on yourself by being organized. If you have time off ahead of the holiday, make pies and desserts ahead if possible. Set the table and any extra chairs up ahead of time. The day before, do as much of your measuring and prep work as you can. You can store the prepped ingredients in the fridge in storage containers. Some recipes like dressing can be fully prepared the day before, just leaving the cooking to the day of. Chill the wine. If you have family around, don't be shy. Put them to work! If someone asks what to bring, don't be afraid to assign dishes or wine or even ice to friends and family who will be attending. Guests like to contribute. An easy request is to have a guest bring an appetizer to give everyone something to munch on ahead of time. That way, you can focus on the main meal. If you only have one oven, plan recipes for the same temperature as your turkey, and choose more sides that can be prepared on the stovetop. Never turn down help with the dishes. Never. Ah, see, I am wrong. You CAN nail jello to the wall. I'll have to get a billing code for this job function. It is Friday, no? Oh, thanks be, it is. "Increases in income are matched by increases in aspirations for income. And the net effect is no change in happiness." Or, a decrease in happiness as it seems. The story really hit me, especially as we head into the holiday season when consumerism is pushed harder than the meaning of the holidays ahead. Now, as I am preparing for a holiday based on gratitude and blessing-counting, now is a good time to remember Happiness. I saw a pretty amazing bit of research presented that showed people have the capacity to alter their perceptions and make their own happiness regardless of the situation. Scientific evidence that happiness is within, and within our grasp, by simply looking no further than our selves and our lives as is. The discussion refers to this as "synthetic" happiness, but I would argue that it is not so much synthetic, but rather cultivated happiness. "It's not getting what you want, it's wanting what you've got." I'm not a big Sheryl Crow fan, but that bit of lyric sticks in my head. I am all about the great miracle that is just another day. Sure, the winning lottery ticket did not show up, but neither did the ambulance. The child, spouse, family and friends I hold dear are all fine. I'm fine. In the global sense, we are rich beyond words. In the personal sense, I feel I am even richer than that. Even so, there are days when I have to force myself to remember how happy I am. Yep. Force. To focus on the good, to see the joy in the very life I have and all that is around me. Even meditate on it. Matthieu Ricard makes a great point; we spend our lives striving to be good at our jobs, good in school, good at sports, yet few of us in the Western culture truly strive to be good at being happy. Or grateful. Yet, both of these things require effort to maintain and nourish. As we all gather around the table this holiday, I wish for us all to be safe, well and to be sharing that table with others. I wish for each of us to be full, and not just on turkey, and to be happy. I must confess that this is only my second year of making Thanksgiving dinner. Years past, I'd always been going to my mom's, and now my in-laws these last five years. I spent a lot of years longing to cook that meal myself. To recreate it. Last year, when the football game fell on Thanksgiving, we got our first chance. This year, the big family meal is moved again for a football game, and my husband and I are back in the kitchen for the smaller meal. So, when you ask for a stuffing recipe (Jen!) I don't have the old family secret one to pull out. I'm still inventing. The following comes from a while perusing Gourmet, cook books and other sources, plus my own ideas, and I am going to go with it. There will be a lot more dishes on the table to keep me safe if it doesn't work out! My husband is going to brine our fresh, pastured turkey using salt, apple cider and spices. Then we will do a maple-sage glaze on it. He's the go-to guy for all the roasting of large beasts (and most roasts) around here. I want to keep the sage and apple flavor in the stuffing. (Jen, just omit the apples and use all chicken stock if you go this route!). I went with sausage because the farmer where we will get our pork and turkey was out of bacon. Bacon and maple are amazing together. Cornbread is also new, I think it will be a good change. We'll have a loaf of great bread on the table as well. One thing. I don't believe in stuffing the turkey. For a couple reasons. First, there is a bit of a food safety issue if the stuffing does not cook through. Nobody likes salmonella for the holidays. Second, the bird is already damn hard to cook on it's own without adding another variable to the mix. See, the breast cooks faster than the thighs and dark meat, and it can dry out. You have to juggle the foil over that part and timing on the other parts. Worrying about the stuffing cooking may screw up the timing on the meat. Nobody likes dry turkey, which is worse than bad stuffing. So, no stuffing the stuffing here. South-east European food company Podrakva gives stockholders a different kind of cook book; one you have to cook to read. Tucked inside the annual report, this little recipe booklet is printed in thermodynamic ink. When the book is wrapped in foil and baked, the recipes and words appear. No advice is provided on how to serve or garnish. 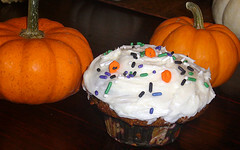 Originally posted by me at KidsCuisine.net for Halloween. Still a good one for the holidays! I've fessed up to a few "Mom Tricks" in the past year. Nothing like spinach in brownies, but at least one good, honest tactic for making those veggies in plain sight disappear. You eye the vegetable on your child's plate. Say, "Mmmm, broccoli! I looove that!" Eye the plate again and look back at your child. Beg for the broccoli. "Are you going to eat that? Because I want it!" The previously ignored vegetable matter is now prime desired food. Simply because you want it. Your child will now taunt you as she eats the food, laughing her way to three helpings. This plays on the whole toddler "Mine!" thing. And it's worked for a long time. Vegetables are fun! Thing is, the Kiddo is no longer a toddler. She will be wise to this trick in a flash. It's time to graduate to the big league and employ those techniques that empower your child and give them control — while they eat healthy. Charlotte over at The Great Big Vegetable Challenge made this whole approach into an amazing blog. We're not quite ready age-wise for this, but I see it down the road, even if the Kiddo eats veggies. In the meantime, I have started the Fruit of the Week to combat neophobia (fear of new foods). I have also taken to putting the Kiddo to work in the kitchen. She has mastered the cold prep for scrambled eggs. She even corrected me one day when I forgot the salt. Her new favorite dish? You got it, scrambled eggs. Because she makes them herself. I put this new approach to the test when I had her blend the dry ingredients for pumpkin bread, another follow up in Battle Orange. I also had her pour in the raisins. When the orange bread ended up on her dinner plate, all we had to say was, "Hey, it's the bread you helped make! You did a great job." In it went, orange, raisins and all. I like this approach. It also keeps me from gaining weight by eating off her plate nightly. But I really like the empowerment and the shared experience of preparing food together. Sure beats rotting in front of the TV. Come spring, we're going to put in a garden. A small one. I plan on having the Kiddo help with the garden, then help prepare the fruits of our labor. I am expecting the love of food from that garden to grow just as the plants do. Combine the dry ingredients in a bowl. (Good job for the kiddos). In the work bowl of the mixer, put the sugar, eggs, oil and vanilla. Cream this mixture on medium for about 30 seconds. Scrape the sides of the bowl down to be sure all is combined. Add the flour mixture and mix on low until just combined, scraping as needed. Pour in the pumpkin puree and the raisins and mix on low until just combined. Pour batter into greased loaf pan and bake for about an hour or until a toothpick inserted in the center comes out clean. All is actually calm on the front. This fall season Battle Orange seems to be barely a skirmish. Sweet Potato fries are now a three- and four-helping item, as is carrot souffle. Sweet potato souffle was an uncontested win. And pumpkin bread showed the success of a new secret weapon: the Kiddo will like anything she helped make. I'm not going to be doing any victory dance, though. It's a long road ahead, a lifetime even. Here's another recipe from the front lines. I’d been kicking around a recipe idea for — no kidding — two years. It was time to try making Pumpkin Gnocchi. Gnocchi is not hard to make. It does take a time or two to get the feel for it, so don’t give up on the first try. The key is to know when the dough is just dry enough to work with, and not add too much flour. What makes this task more difficult is that the water content will vary with the type of pumpkin, squash or sweet potato you use. My advice would be to work the flour in a bit at a time and stop just when the dough is no longer sticking to everything. It’s the best I can do short of sending over an Italian grandmother. I make two batches at a time since it freezes well, and I have a TON of pumpkin and squash to use up. It also gives me a chance to test the recipe a couple times and make adjustments. This post will appear in a Recipe Carnival hosted by Life in America. Sunday’s warm weather was one of those “last chance” days of fall to be outside for a long time. With the short days post-daylight-savings, being in the sun was a welcome place. It was enough, even, to make me not mind the fall cleanup of dumping the soil and remains of our herb garden into the compost heap. I will miss the abundance of fresh herbs. 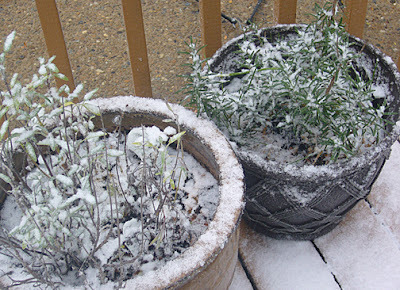 The heartier ones, sage and rosemary, are still growing and will hold on, barely, to grace our Thanksgiving meal. It’s a remarkable cycle. I was immune to the beauty of the compost heap my husband insisted on. I have come around now that we have begun using it. That, plus the fact that every weekend I fill a 3-gallon bucket with vegetable peels, stems and pulp while I prepare our meals for the week. It’s nice knowing that even these parts of our produce have a function. We raked the leaves and put the jack-o-lanterns in the pile along with the dirt. Through some kind of magic, and hundreds of happy earthworms, early spring will find us using this same material to start our garden anew. I'll miss the herbs, and not freezing my posterior off. Over the long winter I'll be reading The One Square Foot Gardener and making my plans. "The economy of influence that governs how Congress operates." I never thought about Congress being "governed" by the influencers, but it sure is a fitting statement. I guess that would mean our country technically has four branches now; Congress, Courts, President, Lobbyists. I'd say it's time for the Fifth branch to speak up — the Public. Ethicurean is the best source I have found for links and updates as this issue continues. Grammar aside, this comment from a USDA meat inspector is certainly interesting. The cover up he is referring to is the process of just shipping the contaminated meat over the cook only side and not reporting it. The details of the article are probably most frightening as it describes the fact that the meat companies are "confused" as to why the amount of tainted meat has increased. I don't think there is any confusion. The source is a diet cattle should not eat that gets them to market quicker at a huge price to the animals' health, a processing of the meat that needs more precautions (and thus, decreased production), and expensive testing and destruction of meat that is not fit for consumption. Not confusing. It's just that the answer to the problem is would mean fewer profits and is therefore, unthinkable. My concern is that is the plants are as "thorough" in cooking the meats as they are in the slaughter, we're far from being out of danger. There was an amazing array of recipes and locations for this issue of Weekend Herb Blogging. Lots of fantastic recipes. Almost enough to make me hungry — even after the massive dinner I had. My contribution to this week's WHB is a nice Maple-Sage Reduction sauce that goes great on pork. My spouse is the meat guy around here, so I helped as he put together the brine of molasses, apple cider, salt, allspice berries, juniper berries, cloves, peppercorns and orange peel. He brined the chops for six hours then seared and smoked them. Lisa at Lisa's Kitchen, located in London, Ontario, Canada, Creamy Beet Borscht. Desie from maybahay in Sydney, Beef and Pumpkin Stir Fry. 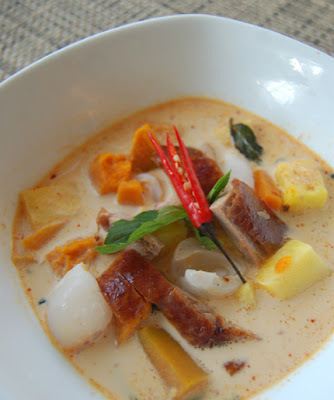 Syrie from Tastebuddies, Thai Red Duck Curry with lychees, pineapple and pumpkin. Patricia from Technicolor Kitchen in Brazil, prepares Pasta al pesto. Katie from Thyme for Cooking, the Blog, Vendée, France with Roast Lamb with Garlic and Rosemary. Kalyn, our WHB host from Kalyn's Kitchen, uses Rosemary in her Roasted Sweet Potatoes with Red Onbions, Rosemary and Parmesan. 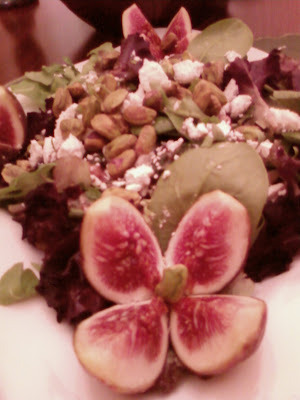 Chris at Mele Cotte uses parsley in the dressing for Fig, Pistascio and Goat Cheese Salad. Laurie of Tastes Like Home — Mediterranean Cooking in Alaska, Anchorage, Alaska, uses parsley in her Anchovy Stuffed Peppers. 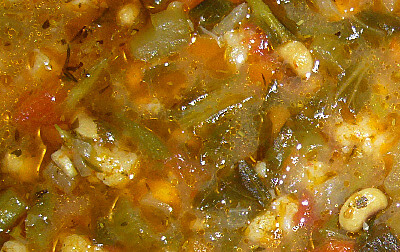 Burcu or Almost Turkish Recipes, makes Veggie Oven Bag Stew (Fırın Torbasında Türlü). Parsley is the herb in this dish. Pam from Sidewalk Shoes makes Shrimp Pad Thai. Cilantro also graces Cilantro, Tomato and Cucumber Salad prepared by Jeanne of Cook Sister, London, UK. Sher of What Did You Eat posts with a recipe using mint and cilantro, Chicken Salad With Cumin Scented Carrot Riata. Isil from Veggie Way, Turkish but currently living in Guildford, UK, posts history and personal memories of Lemon Thyme. Dill, Parsley and Chive blend to make the lovely sauce on Hake fillets with herb-lemon-cream-sauce from kochtopf of 1x umruehren bitte aka kochtopf, aSwiss expat now living in Andalucia, Spain. Margot from Coffee & Vanilla, London, UK, uses basil and oregano as well as an herbed pepper blend for Couscous with Tomato & Zucchini. Ginger and Bay Leaf grace the stew pot of Gretchen Noelle Jones, Canela y Comino, Lima, Peru, with her Curried Beef Stew. Thyme and Basil blend beautifully in Polenta and Mushroom Stuffed Peppers from Katerina of Cabbages and Kings, Seattle, WA. Toni from Daily Bread Journal, San Diego, CA, makes Bean Soup for a Drizzly Day using bay leaf and thyme. Good to hear from you, my thoughts are with all of the folks there in the aftermath. Andrea of Andrea's Recipes uses Sage and Thyme in her Roasted Winter Squash with Croutons. Pam of The Backyard Pizzeria, makes Greek Chicken with Oregano and Parsley. Anna from Morsels and Musings, Sydney, Australia, makes Vanilla and Lemon Rice Pudding. Katerina from Daily Unadventtures in Cooking prepares Kale and Sausage Soup. Haalo, Cook (Almost Anything) at Least Once, prepares a lovely Black Truffle Risotto. Pamela aka The Cooking Ninja made Cauliflower Gratin. Cate from Sweetnicks posts Indian Cucumber Wraps which use one of my favorite spice blends, Garam Masala. Cucumber sounds potent in Gwen's Cucumber Lychee Sake from Intoxicated Zodiac, NY's Hudson Valley. Neil from At My Table serves Wild Cucumbers. Anh of Food Lover's Journey, Melbourne, Australia, makes fresh soymilk, lightly sweet with a touch of flavor. Arfi from HomeMadeS treats us to Tofu and Courgette Cakes. Annemarie Cancienne of Ambrosia and Nectar, London, England, makes Buttercup Squash Bake. I paid attention to this, I have one of these beauties in my squash stash. The Chocolate Lady of In Mol Araan, New York, makes an interesting recipe called Dinosaur Tibias Delicata Squash Pakoras. Windy of Windy's Food Corner, UK prepared Zucchini alla Carbonara. Jennifer of Like to Cook, explains how to make Roasted Chestnuts. Ed of Tomato, Melbourne, Australia, makes a lovely salad with edible flower petals and Beetroot Greens. Sarah of Cucina Bella, makes Super Easy Low-Fat Oven Fries. Gay from Gay from A Scientist in the Kitchen, Laguna, Philippines posts Of Soccer and Apple Pie. Monday brought the surprise ambush of being a finalist in the Weblog Awards. Between that and the debate this week on the Farm Bill, it's been hard to concentrate around the Kitchen. To make things a bit stranger, on Wednesday we were driving home from our last CSA pickup. This is also referred to as Pizza! by the Kiddo as we get pizza and ice cream out on the evening. Kiddo usually opts for a brightly-frosted cupcake and eats part of our ice cream. So, driving home, she's eaten part of the frosting off the thing, and says, "Here, Mommy, I don't want it. I want some edamame." I nearly drove off the road. Child passes up chocolate cupcake for green vegetable. That's big. Granted, the cupcake is not so good, dry and with that metallic aroma to the chocolate that screams "Box Mix!" But still. Here it is Friday and the debate is still going on for the Farm Bill. Voting is done on the Weblogs. I netted out at fourth. I have to say it was a much closer race than I thought it would be. I have all of you to thank for that. Thank you so much. And, given what we were up against, fourth is not bad at all. The winner was Serious Eats. Started by Ed Levine, a food book author twice over. The site has a staff of six and has revenue from advertising that supports rich features and even content from Mario Batali. Even so, this site only got 20 percent of the votes. Coming in as a close second was Epicurious.com. This site is not so much a blog as the online home base for Gourmet and Bon Apetit magazines. The site has rich features for users to save recipes from a huge database and has a couple blog features in the site written by magazine staff and celebrity chefs like Rick Bayless. Epicurious netted 17.6 percent of the vote. 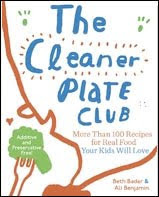 Third place goes to Heidi Swanson's 101 Cookbooks. She posts recipes from top cookbooks as well as a few of her own, being a known cookbook author. The site has won multiple awards in the past. 101 Cookbooks got 11.9 percent of the vote. Less than one percent more votes than this site. And here we are at fourth. Hey, not bad for a rookie with a day job and an editorial staff of one. With 11.1 percent of the vote, I am excited and grateful to all of the peers, friends, family, coworkers and the amazing grassroots support of all the local food folks from those in my hometown to those across the country. These folks included such great sites as Ethicurean, Mother Talkers, and Kid's Cuisine from the Well Fed Network. I have all of you to thank for helping me get the eat local message out to a wider audience. You are heroes. But wait! There's more! Just like Ginsu knives, the deals just get better around here. This weekend I will be hosting Weekend Herb Blogging, a gathering of great recipes from cooks around the world that all center around an herb. The recipes look amazing so far and it will be well worth the click back here to get them. Now, that's an oven. This is the inside of my favorite "boulangerie," Fervere. I use the French term as this is not a bakery as well. Bakeries we are familiar with here — other than Krispy Kreme which is more of a factory-type establishment — do desserts and pastries. In France, that would be a patisserie. Two different kinds of places. All they do here is bread. The finest bread around. The space itself is sparse, exposed brick walls, bare floor and a couple shelves for the finished loaves, a small work area for mixing. And this oven. 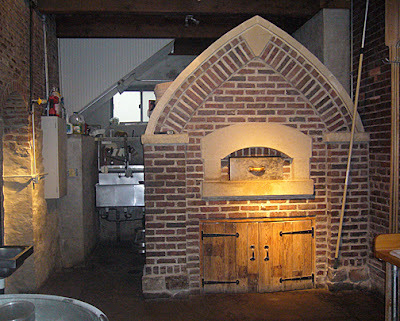 It is custom built to be identical to the ancient communal ovens in Europe. The fire is fed at night, and the breads are baked using the residual heat. Each day the bakers have to calculate baking times and temperatures for each of the loaves and the timing for everything. The flour is custom-milled from local organic grains. Even the yeast was cultured from the local air to impart a unique flavor to the breads, just as identifiable as the tang of real San Francisco sourdough. The shop is open just a few hours a day until sellout, and that happens fast. If you know the different loaves made each day, you can call ahead and reserve one. When you ask the bakers about the process, they can talk at length about each facet of bread making. Each is clearly a perfectionist. You walk into this place, and you might as well be stepping into 200 years or more past. The smell of fresh baked loaves is heavy in the air. It's so good, you want to shake your fist in the air, curse Dr. Atkins and do a happy carb dance all at once. This is where we will find the bread for our Thanksgiving table. This is where I go to find a link to real food. It's the kind of place we should all seek out in our community and support. If we don't, it will be too easy to lose in the wake of "progress." The same progress that has led our country to a really screwed up food system. Indeed, the difference between bread and the flavorless, pre-sliced, HFCS-laden mush on grocery shelves is one of the most profound illustrations of just how far off track we've gone with our food. How did we get here? Why? I don't know. But pass the butter. Okay, NOW I can think about Thanksgiving. Not that I didn’t months ago when I claimed one of only eighty pastured turkeys from a local farm, but now I can finally start thinking about how to cook the beast. And what to cook with it. And the wine. Oh, my, yes, the wine. Hey, what happened to Thanksgiving?! Retailers are just drumming their fingers until Black Friday. Enough, I say, heathens. Let there be Thanks. Giving. 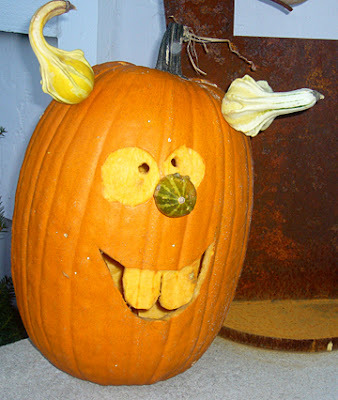 Thus, finally, as the jack-o-lantern heads to the compost pile, as the Elmo costume mercifully makes its way to Goodwill, and the last of the sugar buzz fades. Only now, do I contemplate my favorite holiday of the year. And what a feast it shall be. Let the menu planning begin. We're keeping local ingredients as the center of the meal with a pastured turkey from a nearby farm. I'm thinking that will be brined, stuffed with sage and apple and given a maple glaze. 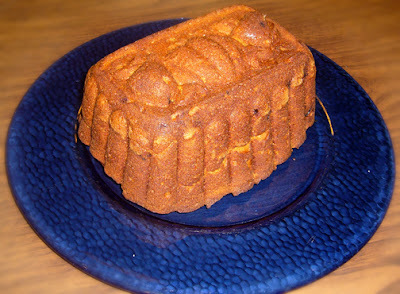 I'd also like to do a variation on my Honey Cornbread to make that into a stuffing using local cornmeal and honey. I've got a couple weeks, I have some time to invent a few new things as well. Earlier in the season, I blanched and froze fresh green beans for Roasted Green Beans. I wanted something green on the plate. The good news (sort of, with a worried glance toward global warming news) is the long fall we are getting may allow for a few local greens from our CSA. The only comforting thought in my head is "Thank God I am not dressed in a giant, dead swan outfit." Then, the dust settled a bit, and I remembered with panic, “Oh man, my newest recipe to post is cabbage rolls.” Not that there is anything wrong with Slavic comfort food. I grew up on the stuff. When the ginormous head of cabbage arrived in the CSA bag and the freezer is full of local, grassfed beef, I knew what to cook. I just didn’t know all of you would be coming for dinner. Neither of my grandmothers were, as they say, great cooks. That stereotype is a myth in my family tree. But there was one thing my favorite grandmother could do better than anyone else: make the most out of a cheap piece of meat. Much of this skill came from being one of nine children in the house of a young widow. The rest of it surely came from having to leave school in the eighth grade and go work at a meat packing plant. I can still hear her knife singing against the steel, flashing back and forth so fast it would make your head spin. She could put an edge on even the cheapest hunk of steel, too. When butchering time came for one of my great uncle’s beef, she would be standing at the side of the butcher making sure all the good cuts were there. At five-two, she was hardly a menacing presence, but, oh, mess with her family and look out. She loved fiercely and completely, worked hard, survived much including the Depression, nearly dying in childbirth, and working and raising a child alone while her husband was at war. She knew loss and hard times, but she was the happiest person you could meet. Always singing as she worked, a flurry of perpetual motion and laughter. To my grandmother, like so many who lived through the Great Depression, food was love. I remember us being kids at the table, giggling as she asked our father, “Want some ice cream, Joey?” We were never sure which was funnier, hearing our father called the “Joey” pet name or the heaping amount of ice cream she’d put in the bowl. Next to her legendary root beer floats, also filled to the brim with ice cream, my favorite dish of hers was cabbage rolls. There is no recipe written and passed down. I pretty much had to do this one from research and memory. More than any other specific memory, my grandmother Ruby (Rubalinska) reminds me of being loved unconditionally and selflessly. Prepare the sauce by pretty much putting all of the ingredients into a large sauce pan and simmering while you do the other steps. The vinegar-sugar combination is a nice sweet-tart foil to the cabbage flavor. Cook the rice (1/2 cup dried rice to 1 cup water). Saute the onion in a bit of olive oil until just golden. Cool a bit. Combine all the filling ingredients in a large bowl. Steam the cabbage leaves for about 5-10 minutes until pliable. Spray a 9x13 baking dish with non-stick spray. Lay in the smallest cabbage leaves for a layer to prevent sticking and burning. Make each cabbage roll by laying out a cabbage leaf with the stem end toward you. Put about 1/3 cup filling on the cabbage leaf end toward you. Fold the sides over, then roll the whole thing up vertically, much like a burrito is wrapped. Place each cabbage roll into the baking dish. Pour the sauce over the top. Bake at 350 for about an hour and fifteen minutes. Serve in heaps with love. Today is our last CSA pick up and the farmers market closed at the end of October. I always feel a bit lost this time of year. Which might explain some of my stranger behaviors such as stockpiling pumpkin, squash and sweet potatoes like a crazed, pessimistic squirrel facing eternal winter. However, even 200 lbs. of local orange vegetables is not enough to quell the lost feeling. There is a huge blank spot open on our Saturday mornings, not to mention the empty shelves of the fridge where I keep all the produce we buy. I even feel a bit like a tourist in the produce department at the grocery store. 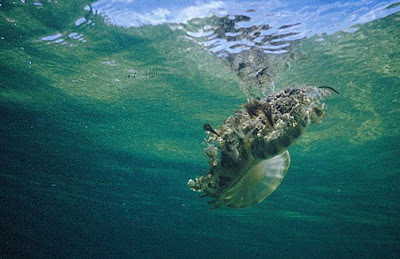 So, I do what all tourists do — go for the most bizarre and unusual experience I can find. I mean, if you are going to go on vacation from eating all local, you may as well go somewhere exotic, right? Call it adventure tourism for the palate. I use this time of year to introduce the Kiddo to all kinds of new flavors and textures, things that just won't grow here. It's definitely not the same as the farmers market or going to the farm, even. But it's fun to explore a bit, and it's a good way to get past the "picky," that neophobic thing kids do which drives us all nuts. 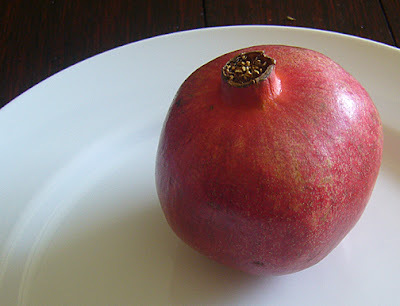 Last week's Fruit of the Week was Pomegranate. Kiddo pulled her chair up to the counter to watch as I cut into the fruit and pulled back the insides to get the deep red, iridescent seeds. We shared them as they pulled away from the peel, laughing. I still have juice on my cabinets. It was a good excursion. Next week, I have my sights on this crazy thing called a Buddha hand. We had a long cool stretch before the first frost here. So long, that our CSA was extended a couple weeks. 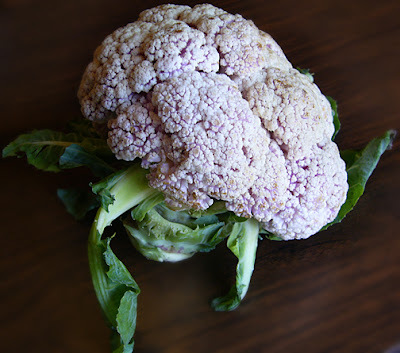 When I looked into the bag there were a couple heads of cauliflower in there, plus a huge head of it from the week before. 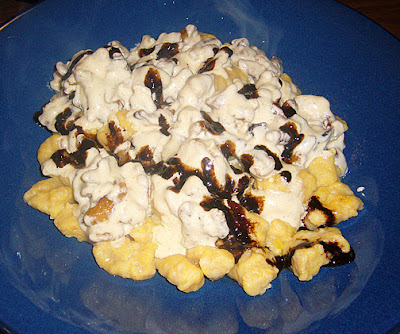 I needed to figure out what to do with cauliflower quick. That's the handy thing about having a few set approaches for preparing vegetables. With just a little bit of knowledge and some pantry staples you are up for whatever surprise is in the CSA bag. Cream soups are not too different from a regular vegetable soup, you just have a couple steps added to the process. I prefer the "roux and milk" method for richer flavor especially for a cheese soup, but you can save some butter fat by just making the roux and adding stock. This recipe is a "chunky" soup with some texture and color to it, so no need to strain the mixture after doing the puree step. If you look at the steps then review the ingredient list after, you can see how the recipe ingredients fit the process. I try to navigate all the whys at least until I run out of answers a nearly-three-year-old can grasp. I can usually go six rounds before I give up and latch on the “said so” standby. I persevere because I respect “why.” I get it. It’s one of the most important questions that can and should be asked. It is going to be hell raising a child who is encouraged to question everything, like some kind of mutiny against myself. Asking why is what got me started down the path of making my own recipes. Of questioning the food supply and where my food comes from, of how food is produced, and of understanding how a few of my past cooking attempts have gone so horribly awry. See, once you know the "why" you can look in the CSA bag or at the farmers market that day and cook with what is fresh and what is there. This knowledge frees you up from the less authentic process of finding a recipe, then going wherever you have to go (megamart) to get the listed ingredients. Recipe for a vegetable soup follows, but first I am going to give you some of the whys. Who knows, you may never even scroll down to the recipes because you’ll be busy writing your own. I hope so. Post a link. Mirepoix (mir-uh-pwah) is a mixture most commonly of 2 parts onion, one part carrot and one part celery by weight. It's added to things like soup stock to give the stock more depth in flavor and aroma. Mirepoix is the first step in many soup recipes, with the vegetables being sweated in a bit of oil over low heat to get them to give up their moisture, but not brown. Now, Alton Brown would advise to add a bit of salt here to encourage the sweating, but I say no, unless you made your own stock and it has no salt. Nearly all commercial stocks canned, bouillion, soup base all have salt and plenty of it. Salting early then adding these products will ruin the soup. Once you have done the starter step of mirepoix, the next step is to add the broth, seasonings, and the other meat and vegetables in their cooking order from longest time (meats) to shortest for things like greens or corn kernels. If you are doing a cheese soup, then the last step will be to make a roux by browning butter and flour, then adding cream which makes bechamel, one of the five primary sauces of French cooking. Then add the cheese to melt it evenly. Puree the soup, then add the cheese sauce to the soup. Cream of soups are also often made with a different type of sauce called veloute, pureed, then finished with cream just before serving. I will post a recipe for a cauliflower-cheese soup with fresh greens next. I had a ton of fresh vegetables from the last market day. Fall weather allows for a second round of the cool crops from early spring. Things like fresh greens, cauliflower, broccoli, as well as the tail end of tomatoes and green beans. 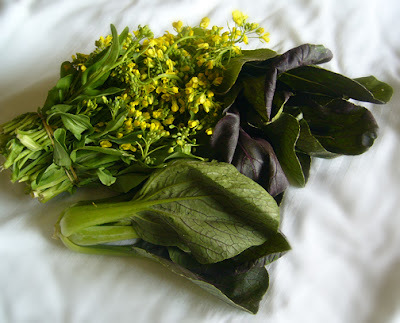 I scored big at the market with the flowering bok choy and baby bok choy I first discovered back in May. The recipe makes about 6 quarts of the vegetable soup since it freezes well. Parmesan rinds. The secret to a rich flavor in nearly any soup. Save them as you use up a wedge of cheese and place wrapped in the freezer. The rind will melt a bit and tiny bits of the Parmesan incorporate into the soup, adding a layer of depth and richness. Incredible. Now, if you happen to have frozen some pesto as well, have that thawed to garnish the final soup. Make substitutions to the vegetable mix based on what you have, what's in season, and what tastes good together. Here are your basic steps for any broth-based soup. It's better than finding $20.00 in the dryer. Better than getting the last spoonful of double dark chocolate gelato. And I just kind of stumbled onto it. See, I went to vote for one of the other finalists. When I got to the list, I saw THIS SITE. And, I thought, oh, it's some mistake. But there it is, folks. The Expatriate's Kitchen, my lowly, non-commercial little blog is a top ten finalist in the 2007 Web Blog Awards for Best Food Site. Now, while I am floored and honored to get nominated (the other sites are top notch), you can vote for me once every 24 hours between now and November 9th. Please do! Thanks. My handy Google countdown tool reminded me that today marks the first day less than a full year left of Bush in office. As my thoughts and occasional muttered expletives turn to Washington, I want to remind everyone to bug the hell out of your senators to fix the farm bill that hit Senate floor this week. Michael Pollan does a good summary of the key issue, but if you want the details between what the House proposed and what Senate is looking at, check it out here. Thanks to the Ethicurian for their great coverage on this topic. The "kid" who is my cube mate and technically, employee, for the last eight years (hey, he's put up with me longer than my husband and all day in close proximity!) is a wealth of unusual conversation. On any given day we talk everything from quantum physics to foot fungus. Sometimes we even talk about work. We're both "active mind" types and obsessive over certain subjects. His current obsession is evolution. With a bit of biology in my past, I'm always up for pondering nature's power to change things in response to the environment. I do find bits of it that are confusing. For example, the whole neophobic, fear of new (food), tendency in kids. It's great in theory; child toddles out of cave, sees toxic berries on bush and will not eat them because of an innate fear, lives to pass on neophobic gene. Except that's not how it goes. It goes more like this; child runs across kitchen floor, eats every stray bit of dirt, lint, cat hair, plastic bit, dust bunny and unidentifiable substance once possibly food. Then goes to table and won't eat carrots. By all logic here, we should be extinct. This leads me to my second Great Evolutionary Theory. Long, long ago when the world was sparsely populated, parents lived in harmony with their children. As time passed, and the world became crowded, nature selected again to help us balance the system and discourage large families. This current period is known as the Dawn of the Terrible Two Gene. I haven't applied yet, but I am sure I could get a grant to study this. By far the most frightening observation on evolution, Terrible Two's aside, is that my child is remarkably unchanged in personality since day one. She just communicates a lot more and better these days. A lot more. No, she is not changing so much as she is growing up. I'm the one being evolved. Permanently, irrevocably, and perhaps, for the best.